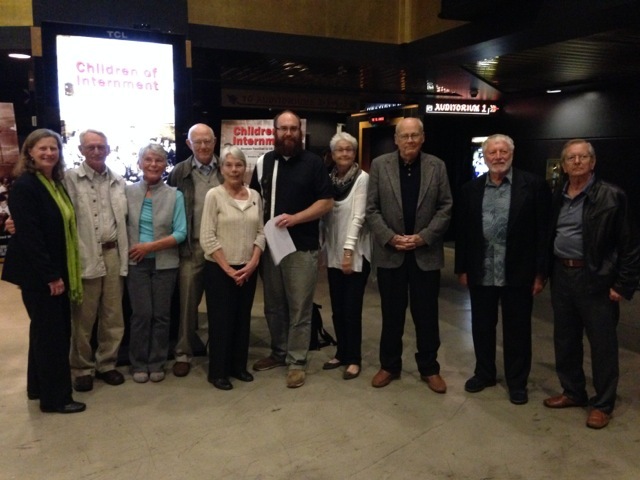 We had our first private screening of Children Of Internment at the Chinese Theater. It was an honor to host the evening for the cast and internees that gave us incredible interviews for the project. A very special thank you to all of them. I would also like to thank the family and friends who also joined us in a full auditorium. After the final credits we had a sip of peppermint schnapps and then went to the Wirtshaus restaurant on La Brea Ave. in Hollywood for some schnitzel. I am sure the internees were very honored to have their stories told in such a meaningful way. They must really have enjoyed the experience!